Most of us would've grown up with cartoons and taken a particular liking to the animals the artists drew. From Winnie the Pooh to Scooby Doo, we all have our favorites! The best thing some people on the internet do is recreate scenes from these movies using lookalike animals and it makes the cuteness scale tip over! There are also some that just have uncanny resemblances to their cartoon friends and that's when you have to thank nature for making this happen. Here are our top five cartoon animals in real life. 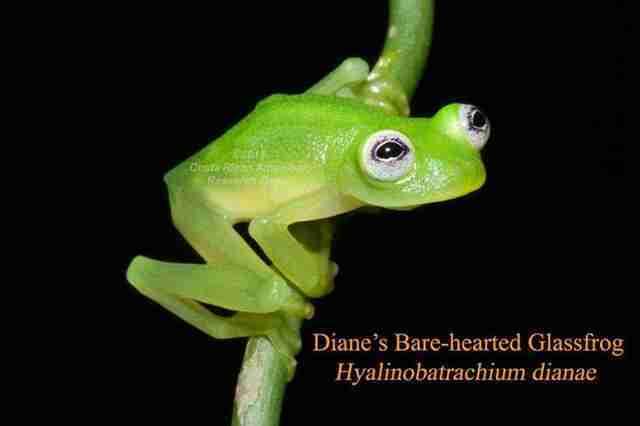 This frog was recently discovered in Costa Rica and was noted for its resemblance to everyone's favorite muppet, Kermit! The newly found frog also has a weird attribute: all of its organs are visible through its transparent underside. 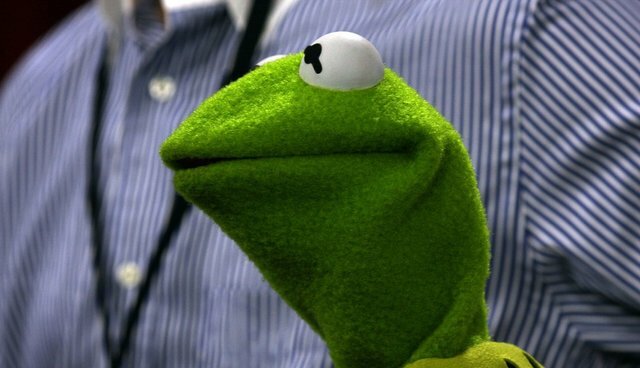 This frog is definitely a favorite around the world for its muppet like exterior; maybe someone will capture a photo of it and a pig with a blonde wig on. 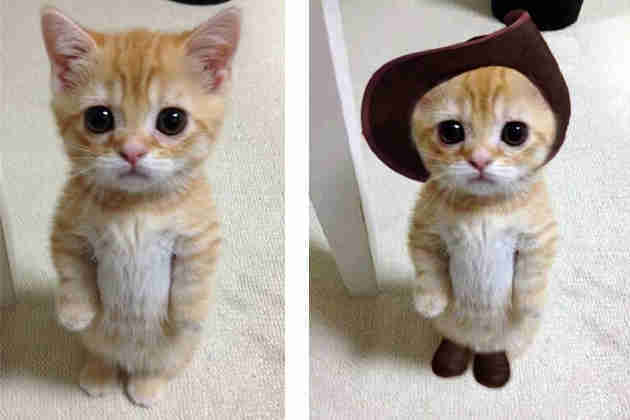 Puss in Boots – cuteness overload! Puss in Boots gets everyone with his big adorable eyes and whimpering so no one can resist. Well this is the real life version of Puss in Boots and he is even cuter than the cartoon version - especially considering you can pick him up and cuddle with him! 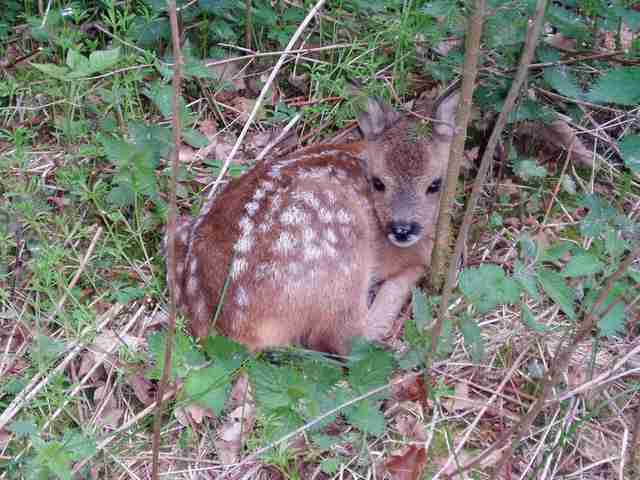 The white markings on the back of this deer make it look like the cartoon Bambi and many people have a soft spot for this cartoon due to the brutal scene where Bambi's mother gets killed by a hunter (sorry for the spoiler). This deer looks so morose and lonely; this could just be feelings from the movie being placed on this seemingly normal deer, but probably not! Lady and the Tramp, dining together! 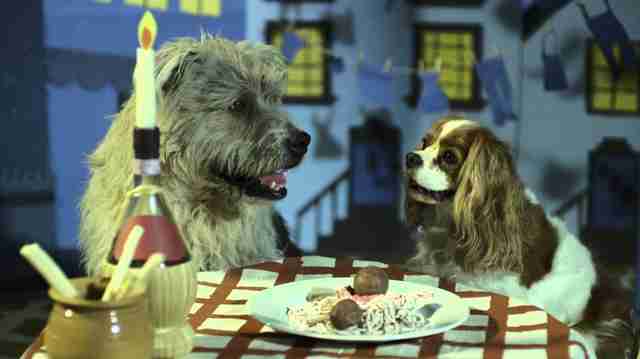 The famous Lady and the Tramp scene of them dining on spaghetti and meatballs has gone down in film history. This adorable real life depiction of it is amazing and is up there with one of the best recreations of a movie ever! This is an odd pairing within nature but in the context of "Aladdin," it's an amazing photo that shows any animals can be friends. Abu are Iago are originally enemies but you can see now they are friends in the cartoon world and the animal world! Isn't it great when that happens? It's always fun to see cartoon animals in real life and reminisce about your favorite scenes from the movies they're in. Not only are these photos seriously cute and funny they also show that the animal world has a big influence on our feelings and that is why they are used so commonly in cartoons because they evoke an emotional response in us we didn't even know we had.